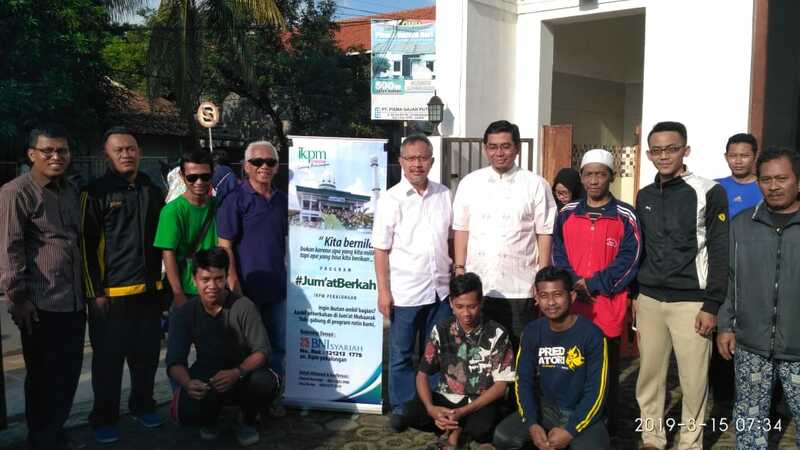 Pekalongan – The Family Association of Darussalam Gontor Modern Islamic Institution Branch Pekalongan distributed rice handouts on Friday, March 15, 2019, in front of the Ghaffar Ismail Foundation building. Distribution of charity was different this time because Dr. Eng. Mohammad Ridho Zarkasyi and the Head of Pondok Tazakka Sheikh Anang Rikza attended the event. Mr. Ridho supports the members of the association so that they can become useful graduates for the people and not even become people who personal interests have torn them apart. In this activity, the association donated 285 rice meals to poor and needy people in Pekalongan city. Members of the association and other benefactors raised charitable fund. The hope for this activity is that in the future, the social participation of graduates of Gontor Modern Islamic Institution will already be felt by society and inspire others to spread kindness and good. As it is well known, the Family Association of Gontor Branch Situbondo also did the same every Friday, namely rice meal deliveries.